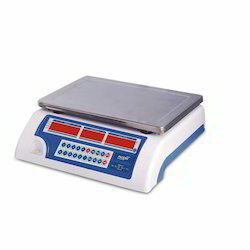 Leading Manufacturer of electronic piece counting scales, weighting piece counting scales, platform piece counting scales, nec series piece counting scales, nep c series piece counting scales and digital piece counting scales from Chennai. Known for their easy operations and maintenance, the offered Electronic Piece Counting Scales are highly user friendly in nature. Manufactured by trusted vendors, using fine raw materials and modern technology, its functionality and accuracy is quite high. 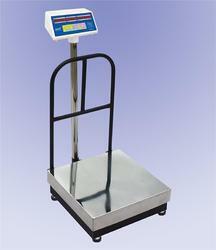 These reasonably priced scales, used widely in various shops for weighing, are highly asked for. 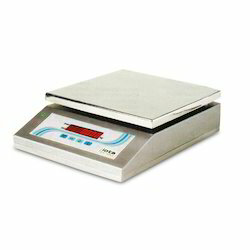 Known for its impeccable use in a number of shops for measuring weight, the offered Weighting Piece Counting Scales are amongst of the finest that is available in the market. Manufactured as per the industrial norms, by reliable vendors, the offered piece counting scales are efficient and accurate in nature. 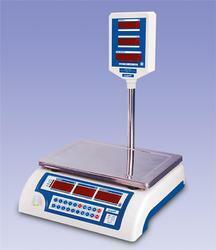 Our client can avail from us a wide range of Platform Piece Counting Scales. This product is appreciated for its efficient functionality, optimum quality and long service life. Offered products are provide in different specification to meet the diverse requirement of client. Also, we properly examine this scale on various quality parameters. Can set no. of pieces to activate buzzer. Displays Weight, Unit, Unit Weight & Count. 20 key feather touch keyboard with audio indication during entry. 6 V, 4 AH SMF rechargeable battery. 7.4 V, 1.5 AH Li-lon battery with charger. Owing to its quality and reasonable pricing, the offered Digital Piece Counting Scales are highly demanded in the market. Manufactured using high quality raw materials and modern machines, the offered product is highly appreciated for its optimum functionality and ease of operation. 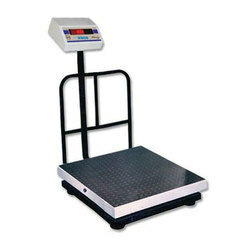 Our range of scales is known for accurate results.